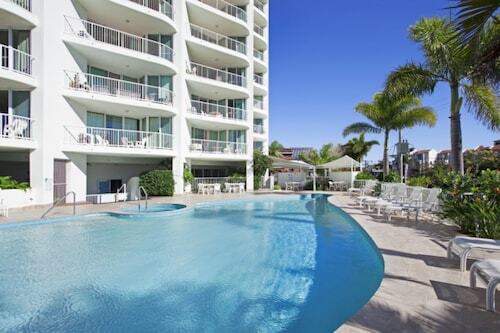 Situated near the beach, this apartment building is within 1 mi (2 km) of Gold Coast Aquatic Centre and Broadwater Parklands. Harbour Town is 2.4 mi (3.8 km) away. 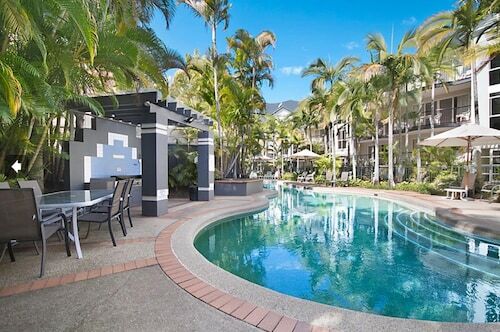 Located in the heart of Labrador, this apartment building is within 3 mi (5 km) of Australia Fair Shopping Centre, Harbour Town, and Gold Coast University Hospital. Surfers Paradise Beach and Sea World are also within 6 mi (10 km). Situated near the beach, this luxury apartment building is within 2 mi (3 km) of Ian Dipple Lagoon, Harbour Town, and Broadwater Parklands. Harley Park and Gold Coast Aquatic Centre are also within 2 mi (3 km). 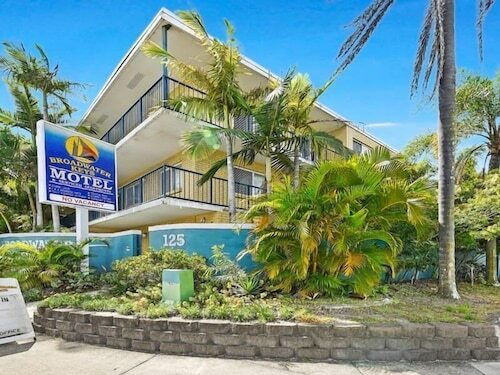 With direct access to the beach, this Labrador apartment building is within 3 mi (5 km) of Harley Park, Harbour Town, and Broadwater Parklands. Ian Dipple Lagoon and Morrie Glasman Oval are also within 2 mi (3 km). Situated near the beach, this apartment building is within 2 mi (3 km) of Ian Dipple Lagoon, Broadwater Parklands, and Harbour Town. Harley Park and Gold Coast Aquatic Centre are also within 2 mi (3 km). Labrador sits between Biggera Waters and Southport on Queensland’s Gold Coast, overlooking the Broadwater. It isn’t the party district of Surfers Paradise or the scenic escape of the Gold Coast Hinterland, but a quieter residential suburb that’s still close enough to the action. 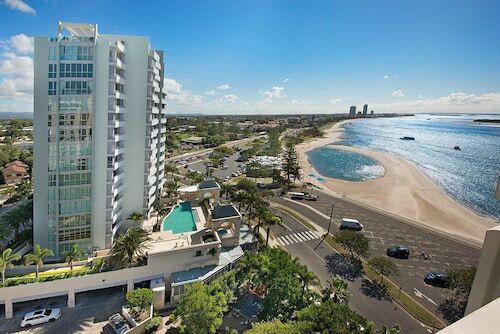 If you’re planning a Gold Coast getaway, we have plenty of Labrador hotels to choose from. With a population of roughly 16,000, Labrador has seen a lot of development in the past decade. Now it’s the place to go for a dining experience with Broadwater views. Grab a coffee or a meal - everything from seafood (of course) to Indian is on the table. Water sports enthusiasts will find plenty to see and do in Labrador with the Broadwater a hub for windsurfing, parasailing and speed boating. Marine Parade is a great place for a scenic walk. An area of luxury hotels and expensive homes, it winds along Labrador’s foreshore, past sailboats on the water, through grassy parks and picnic areas. If you have kids, take them to Harley Park for a run-around on a ship-themed playground or a picnic in the shade. There you’ll find The Ian Dipple Lagoon, a stillwater swimming pool perfect for a little relaxation. The Gold Coast Marathon takes place on the Parade each year, so if you come in July you might just see thousands of runners trampling down along the foreshore. Maybe you’ll be one of them? If you’d rather run after some bargains, Labrador has plenty of shops on Marine Parade and Brisbane Road. Also close to Brisbane Road is Harbour Town in Biggera Waters, an open-air mall lined with palm trees. Southport is also close by and is home to one of the Gold Coast’s largest shopping centres, Australia Fair. Featuring over 200 stores and a cinema, it’s an ideal place to go for fashion shopping or a bit of leisure time. 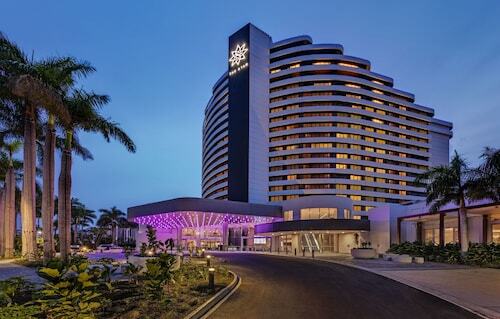 From your Labrador hotel you’ll be in a great position to explore the rest of the Gold Coast: the long white stretches of sand, the surf, the food and dining, the nightlife, theme parks and tourist activities. 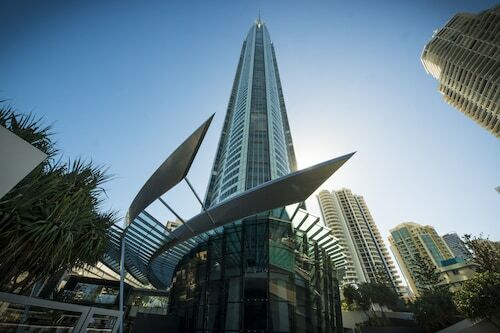 Labrador is close to Helensvale Train Station and buses link the suburb to spots like Surfers Paradise and Broadbeach, which are famous for shopping and nightlife. 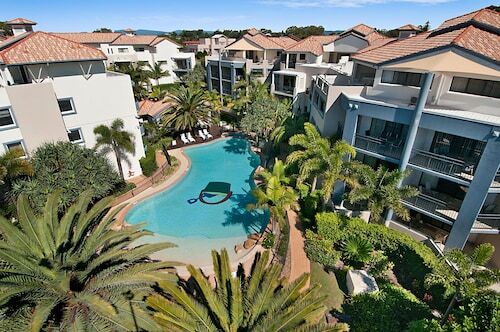 Save some cash and start your Gold Coast holiday by booking from our Labrador accommodation! How Much is a Hotel Room in Labrador? Hotels in Labrador start at AU$81 per night. Prices and availability subject to change. Additional terms may apply.